Come celebrate our award-winning wines! 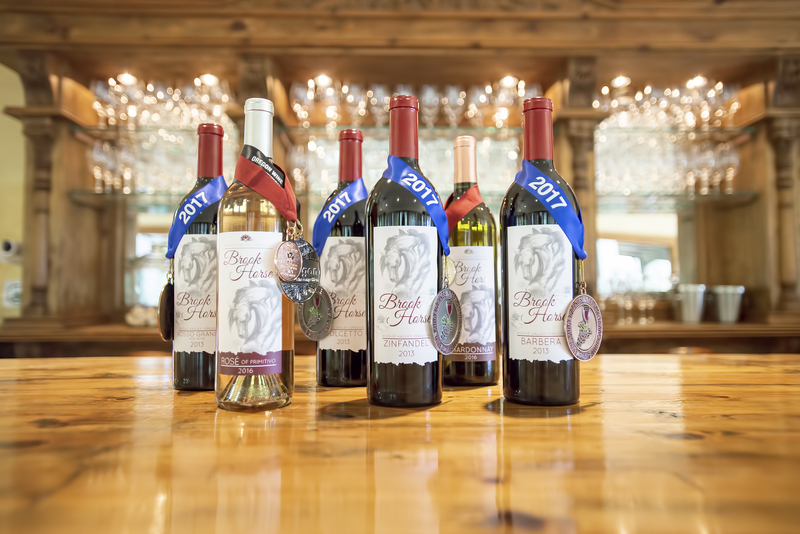 The 2017 Rosé of Primitivo took GOLD at the 2019 San Francisco Chronicle International Wine Competition! The February Wine Club Release features the 2017 Rosé of Primitivo and the 2015 Brook Horse Zinfandel. 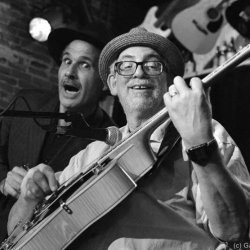 The February party will include a late lunch pairing of lasagna with our 2016 Sangiovese AND live music by David Pinsky and Phil Newton from 2-5 PM. The 2016 Sangiovese recently won GOLD at the 2018 San Francisco International Wine Competition, and although we are not officially releasing the Sangiovese, we want to share it with our wine club members. The 2016 Sangiovese will be available for purchase, ONLY to wine club members ONLY at the February 9th release party. Not a wine club member? Want to join? Click HERE! Fall Events, Harvest, and Award-Winning Wines! As summer comes to a close, we at Bayer Family Estate have much to look forward to and much to celebrate. September kicks off with our first ever Wine Club Pick-Up Party on the 1st. From 2:00-4:00, wine club members will enjoy wine tasting with food pairings, live music by Frankie Hernandez, and a wine club-exclusive case sale. If you are not yet a wine club member, there's no better time to join and start enjoying discounts, complimentary tastings, and other exclusive wine club member benefits. Click HERE to join our wine club now! With harvest approaching and the start of another delicious vintage, we are excited to announce that Bayer Family Estate and our wines recieved more prestigious awards over the summer. We entered wines into the New York International Wine Competition and the Oregon Wine Competition. In New York, the 2016 Chardonnay took Gold, while the 2017 Rosé of Primitivo and 2015 Barbera both took Silver medals. Bayer Family Estate was also recognized as "The Oregon Rogue Valley Winery of the Year." 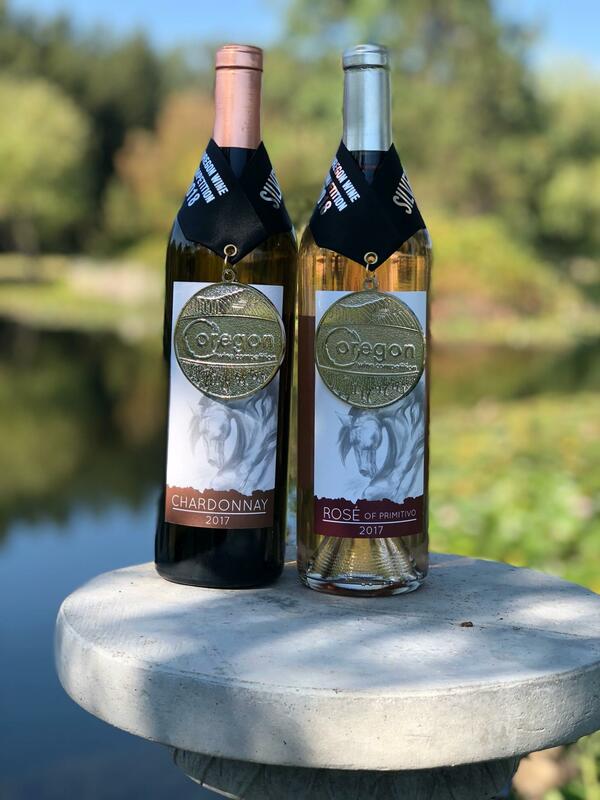 At the The Oregon Wine Competition, the 2017 Chardonnay and 2017 Rosé of Primitivo both earned Silver medals. Our participation in The Oregon Wine Competition, along with hundreds of other wineries, contributed to $1,275,000 raised for the Children's Miracle Network during the Oregon Wine Experience. We are very proud of these distinguished awards and of the achievements of our local wine community. Other happenings in September include a concert on the 15th featuring "Highway 99" and a food truck. General admission is $10, $5 for wine club members. We will offer our Sorbet and Rosé in the tasting room through the end of the month. If you haven't tried it, treat yourself! We hope to see you at the tasting room! Join us at the tasting room September 1st from 2:00-4:00 PM for our first ever Wine Club Release Party. Pick up your September wine club bottles, enjoy tasting stations with food pairings, and take in live music by Frankie Hernandez. Our fall wine club features a mix of our favorite wines that we are currently pouring in the tasting room. Mixed Selection members will receive the 2016 Rosé of Primitivo, 2016 Chardonnay, and 2013 Zinfandel. White Club members will recieve bottles of the 2016 Rosé of Primitivo and Chardonnay. Red Club members will recieve 2013 Dolcetto, Zinfandel, and Rosso Grande. Wine Club members may also take advantage of our exclusive Wine Club Case Sale. For wine club members only, we are taking $100 off cases of our award-winning 2016 Rosé of Primitivo, or our classic 2013 Barbera. With limited inventory remaining, get your cases of these before they are gone forever! 2016 Rosé cases will be $200 each, regularly $300. Barbera cases will be $308, regularly $408. Can't decide between the two? Get a mixed case with 6 of each for $258. Can't make it on the 1st? No worries! We will hold your bottles until our next wine club release in November. They will be shipped after that time and your account will be charged, unless other arrangements are made. Want $100 off cases, but can't make it in to the sale? No problem. Click HERE to purchase your case(s) of 2016 Rosé of Primitivo and/or click HERE for your case(s) of 2013 Barbera. Use the code FALL100 at checkout to recieve your $100 case discount. Sorry, no mixed cases for online orders. We hope to see you all on September 1st!